Give your entryway an affordable makeover. 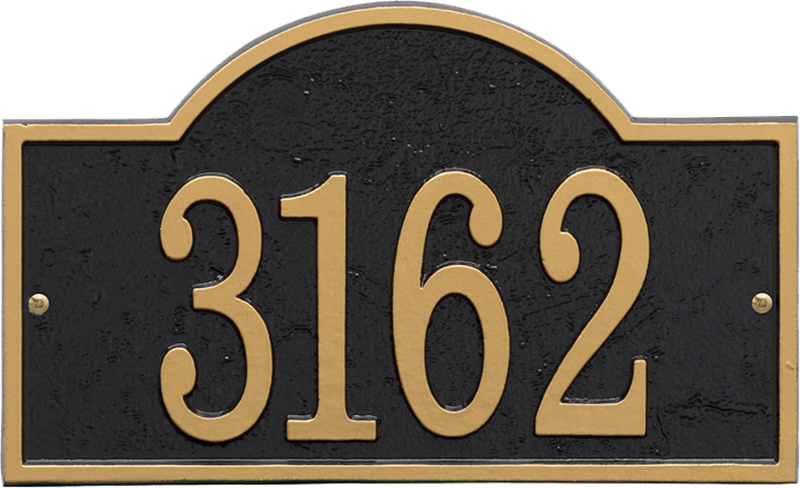 The Arch Fast & Easy House Numbers Plaque combines popular architectural styling with large 4" numbers for maximum visibility. • Max. 1 line of text, holds up to five, 4" numbers. Fast & Easy Number Plaque 7.25" x 12"
Max. 1 line of text, holds up to five, 4" numbers. Exactly what I expected, nice quality. Quick turnaround and a beautiful product. 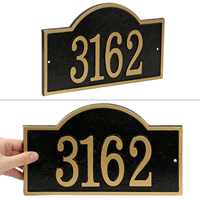 I like my sign a lot, however, they sent me one but as soon as I called them they corrected the error and sent me the other house number plaque. It was a pleasant experience dealing with this company. It came quickly and was very high quality. I got burned on an Amazon marketplace purchase on the first one and threw it out. It was plastic. Finally found the right place. It was easy to order and easy to install. Looks wonderful on my house! Definitely would purchase from Smart Sign again!